Apple III was intended to add a serious business machine to the Apple lineup, working together with the Apple II rather than replacing it. 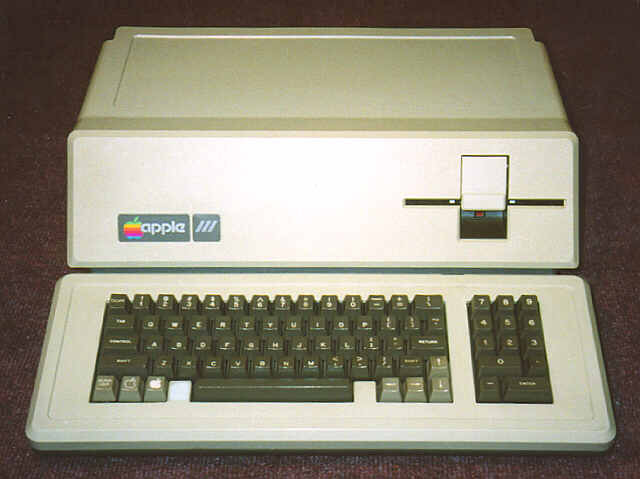 The Apple III is notorious for being one of the biggest failures of microcomputer history (along with other notable examples, such as the Apple Lisa and the IBM PCjr). An oft-repeated story goes that the motherboard chips would loosen in their sockets due to excess heat. Apple technical support personnel told owners to drop the unit 2"-3" onto the desk to re-seat the chips. Naturally the owners didn't respond happily to this advice, and Apple ended up replacing every single motherboard under warranty. The III was fully redesigned and re-launched as the Apple III+, but it was too little too late.